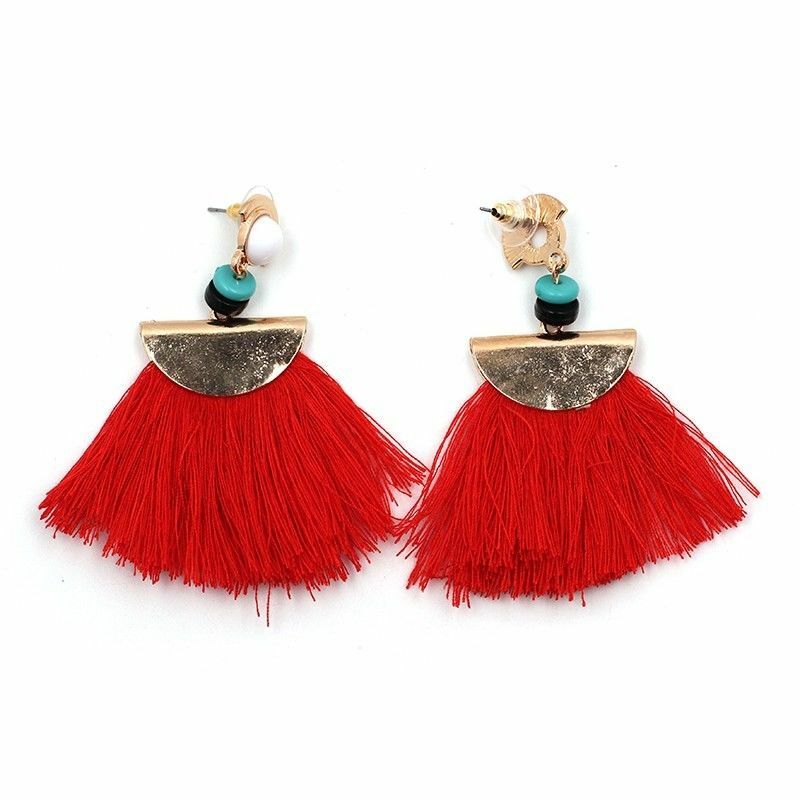 I did buy the Insta-famous H&M red tassel earrings but I couldn't get on with them.....I do love the style of these so I'm going for them in black too! I've had a hard time making up my mind which other ones to plump for....there are so many gorgeous ones to choose from! I love these, these and these. Going back to the beginning of this post.....I am most definitely obsessed with dresses at the moment. A total of 3 have made it into my wardrobe this week. All will be packed for my holiday. First up.....still hooked on that Rouje-vibe. This one was straight out of the packet and promptly worn....perfect with espadrilles and a basket bag...as you can see. I would in hindsight sized up in this dress as it's jersey and very clingy....just something you might want to consider! Next up.....more of that French chic influence. I shall be wearing this with flat tan sandals and my bamboo bag. Yup....I did cave and get another white dress to add to my collection. Couldn't resist this one! Bizarrely I had to size down in this Zara dress to an XS!! Sadly I can't link as it was an instore sale purchase....bargain price of £19.99 down from £59.99. Quite a few left on the rail. A new bikini has made it's way into the holiday box this week. Good old M&S always come up trumps in the swimwear department! Just wish I looked like this in mine! There are only limited sizes online but there were plenty instore. Last but not least.....I need something to go over that bikini! I absolutely adore this beach cover up. It's white with gold stars on and trimmed with white pom poms....what's not to love! There have been an array of dresses in my outfits this week....here's what I've been wearing. It's about time I stepped away from the dresses! I'm fully stocked for my holidays so a packing post is on the cards shortly! Have you started to plan what you are are taking on your hols yet.....I would love to hear! The poncho and panama were kindly gifted by Somerville scarves, all words and opinions are my own.